Give your kid the control during play time! Kids love remote control boats, planes, trucks and cars to zoom around and have fun with! Your child can play farm or construction with vehicles and trucks from CAT and John Deere. Girls will love the Barbie car, Lalaloopsy boat or My Little Pony plane. Your child’s favourite Disney Cars can be driven around by remote! Big kids and tweens will love Wii games and Airhogs. There’s even a remote control snake that could be a practical joker’s favourite! 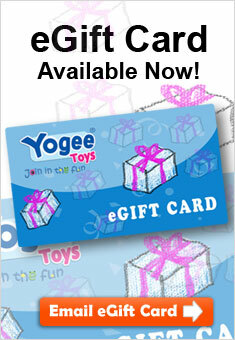 Your kids will be on the move with remote control toys from Yogee!